Experience seasons of change and fun in this beautifully crafted mahjong game with an exotic twist! 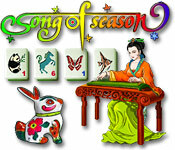 Match tiles, enjoy elegant Chinese music, and revel in the unique bonuses that Song of Seasons has to offer. You will face more than a hundred challenging levels and little guessing games as you take in beautifully crafted artwork. 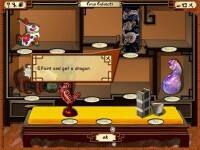 If your skills are sharp enough, you'll get to create and collect 12 traditional Chinese crafts. Whether you're a seasoned mahjong player or just starting out, you can't miss Song of Season! 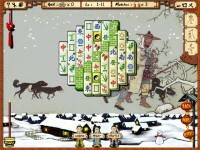 Beautiful mahjong seasons just for you! Tell someone about Song of Season Game!